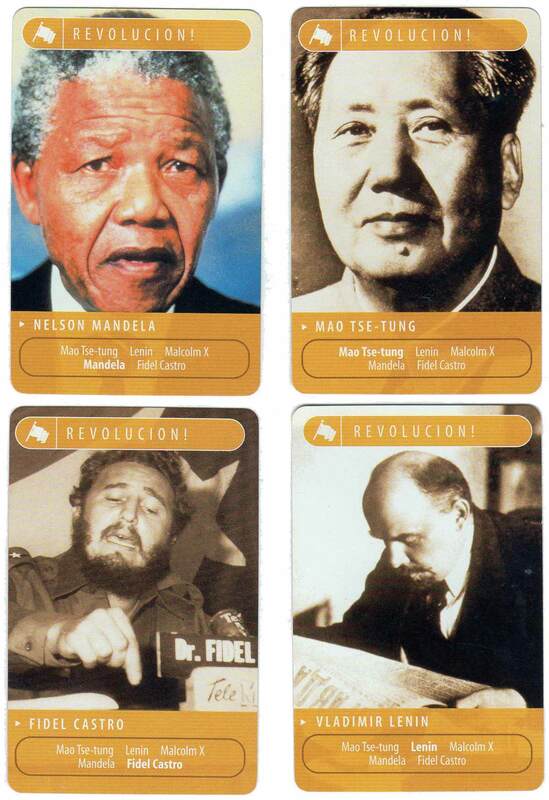 The ‘Biography Channel Card Game’ published by A&E Television Networks media company, 2002, with portraits of celebrities and historic figures in sets of five, instead of four as in typical quartet games. The sets are colour-coded and cover themes such as: gangsters, inventors, famous male and female roles, musicians, revolutionaries, explorers, hollywood film stars and artists. Above: The ‘Biography Channel Card Game’ published by A&E Television Networks media company, 2002. Images courtesy Amit Benyovits.